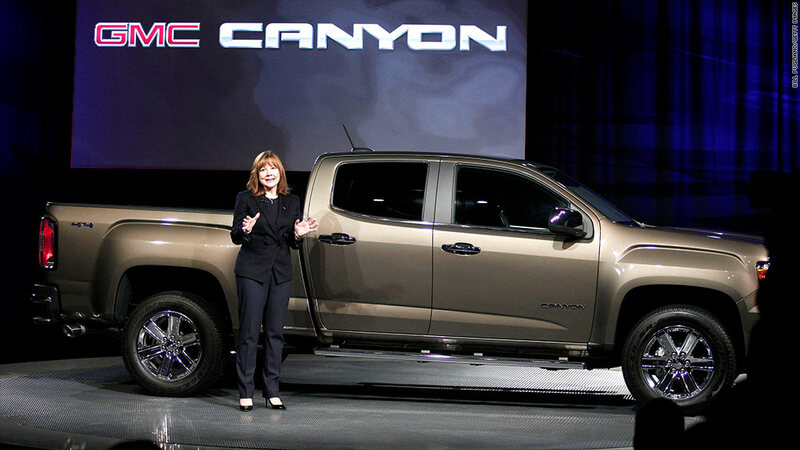 GM CEO-designate Mary Barra unveils a new pick-up truck at the Detroit auto show Sunday night. 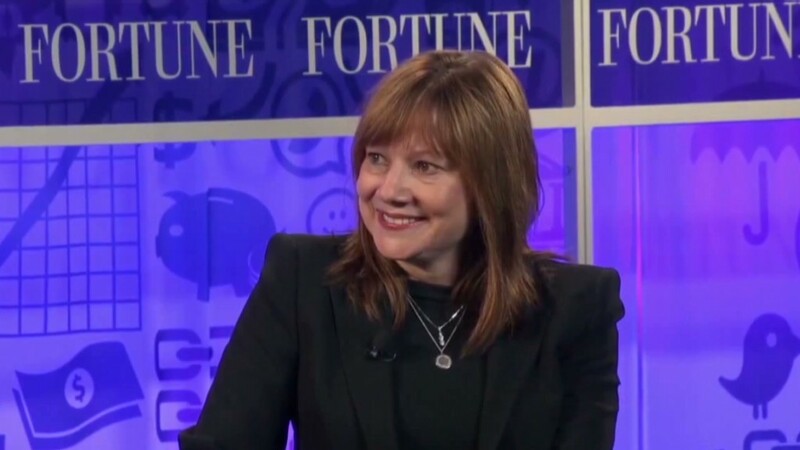 Mary Barra has been getting a lot of attention as the first woman tapped to lead a major automaker, but Sunday night she tried to shift attention away from herself and to General Motors' newest pickup truck. Barra, in her first public appearance since being named to be the next CEO of the nation's largest automaker, kicked off GM (GM)'s publicity efforts at the Detroit auto show by unveiling the GMC Canyon, a midsize pickup. She takes over on Wednesday. Barra started the presentation saying she was "honored to stand here tonight and humbly lead this team." During a press scrum that followed her appearance, she was asked if she felt any additional pressure from all the attention her appointment has received. "I would just say I come to work everyday, I work my hardest. We're focused on the goal...and that's what I look at," she responded. Asked if she has an advantage selling cars given that statistics show women are involved in 70% to 80% of car buying decisions, she declined to say she offered any greater insight than the male executives who preceded her. "It's a team sport and we've got a great team," she said. Also present at Sunday's unveiling was Mark Reuss, who was tapped to assume Barra's job heading GM's product development. Some had thought Reuss might get the CEO job himself. Reuss referred to Barra as "my good friend and now my new boss." But for Barra, drawing attention to GM's two midsize pickups, the GMC Canyon and the recently unveiled Chevrolet Colorado, will be difficult at this year's Detroit show. That's because one of the hottest vehicles at the show this week is sure to be the redesigned Ford F-150 full-size pickup. Ford's truck, which has significantly more aluminum will be unveiled Monday. Ford (F) has made a somewhat risky bet to use more aluminum on its most important vehicle. Aluminum could increase production costs and while it's lighter, it is also more difficult to work with than steel. All automakers will have to find a way to improve the average fuel economy of their full range of U.S. vehicle sales to meet tough new federal regulations. Those rules will demand a 54.5 mile per gallon average for the automakers by the 2025 model year. GM tried a different gamble, hoping that it can attract buyers and attention to the midsize pickup segment that has never gotten much of either in the past. "Other manufacturers have either ignored it, or abandoned it," Barra told the crowd about the midsize truck segment, just before the GMC Canyon unveiling. "To us, that is no way to treat the customer."